The GHQ line ran across the country and utilised natural barriers as much as possible. 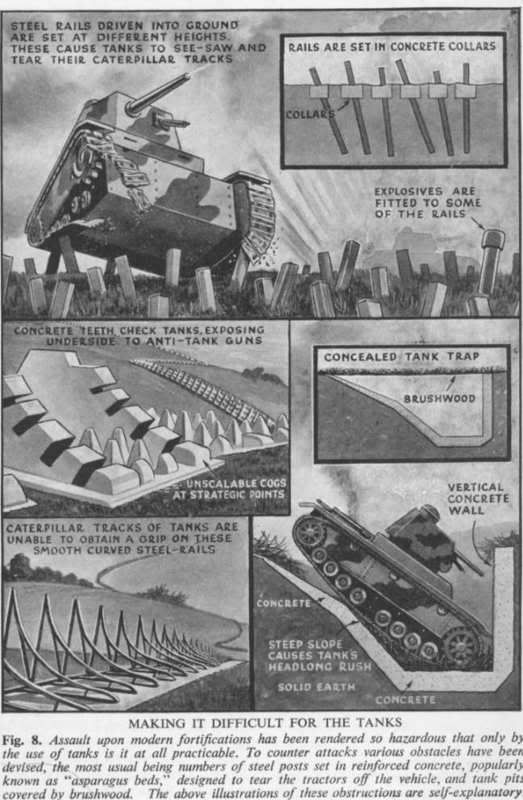 Where there were no natural obstacles, tank traps were built such as dragon's teeth or simple ditches filled with water, and explosives and pill boxes guarded bridges where needed. The idea was to slow enemy advance to allow for reinforcements to be brought up. 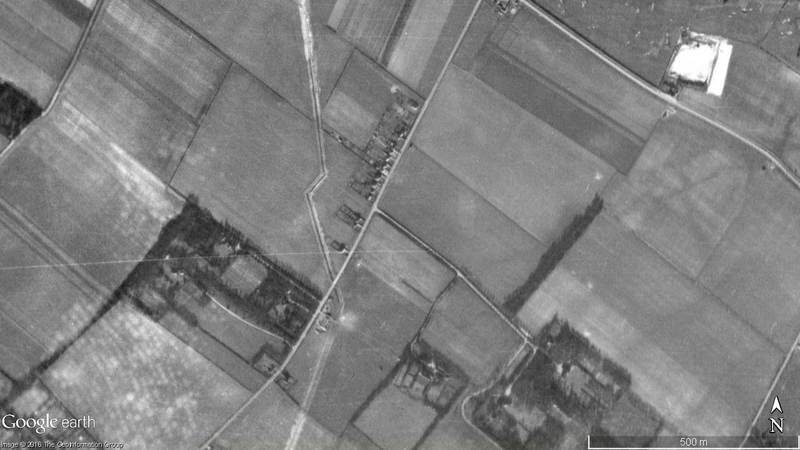 Aerial photo of the ditch at Great Shelford. "Cambridge was one of the few settlements of any size to actually sit on the GHQ line. The line, as we will call it, approached Cambridge from the south via the grounds of Audley End House, Great Chesterford (north of which it cut through the course of the abandoned Newmarket – Chesterford railway) and Stapleford. From the latter, The line turned north-east to cross Hinton Way and then what is today the A1307 road at a point some 200 yards from the present day Park & Ride carpark and on the Cambridge side. It then crossed Worts Causeway, Queen Edith’s Way and then along the east side of Mowbray Road where Hulatt Road now is, then across Cherry Hinton Road to run parallel with Perne Road. Having crossed Birdwood Road, it then veered east-north-east at what is now the junction of Ancaster Way and Tiverton Way to cut through the abandoned trackbed of the pre 1896 Newmarket railway at a point just west of Brookfields. From there, the line then crossed the present Newmarket railway at a right angle and at a point just north-west of the Tins footbridge (this bridge being adjacent to the engine shed of the former Norman Cement works). The line then crossed Coldham’s Lane and what is now the south-west corner of Cambridge airport, through what is now the Keynes Road/Dudley Road housing estate before arriving at a point near Chesterton Junction. From there it followed the rivers Cam and Ouse to Ely, Littleport and up to the Wash before heading back inland through Lincolnshire and up to Yorkshire. The Wash was the only point at which the GHQ line made use of the coast. Today, the infilled anti tanks ditches between Stapleford and Worts Causeway can still be picked out from the air. Much of eastern Cambridge has seen all traces of the line obliterated by building and, around the former cement works, quarrying. Many pillboxes and gun emplacements were removed postwar but nevertheless a number still remain. Some ditches, especially in the Fens, were retained for use as drainage ditches while the remains of road blocks and tank traps can still be found here and there if one is determined enough to look and knows what to look for." An excerpt from Disused Stations website. The map seems to show the GHQ line crossing through the word Brookfields and then up to the railway line.